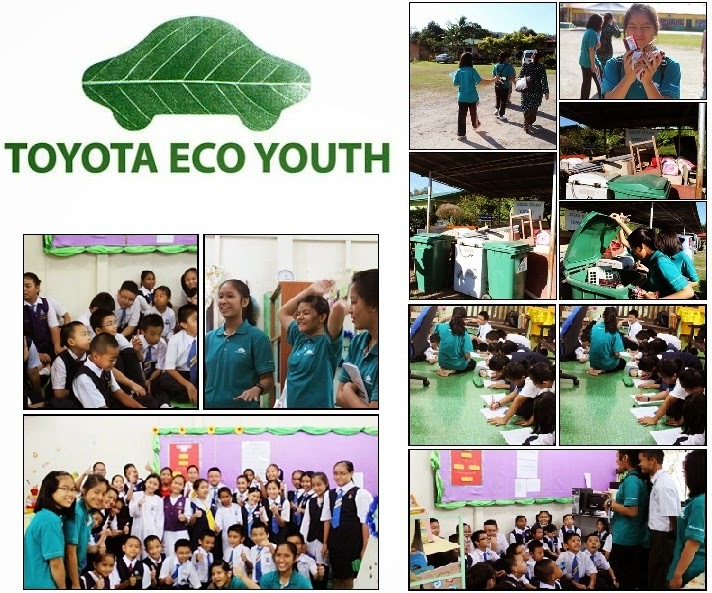 Toyota Eco Youth has adopted SM St Michael to execute their environmental programmes. Students from the school will represent Toyota in creating eco-awareness among schools throughout the state by using professional methods to address environmental issues. A team of students and teachers of the school have formed the World Wise team which will ensure the cleanliness of a drain stretching a few hundred metres along the Penampang-Tambunan Road near the St Michael roundabout. The launch of the team was followed by a ‘gotong-royong’ of students and teachers who cleared the drain and placed mudballs containing natural bacteria in the waterway to clear the drain water of pollutants. Also participating in the event were the school principal, Super Principal Marie Yong Pik Hua and former Moyog assemblyman, Datuk Phillip Lasimbang. Marie said the team found that the drain was clogged up with garbage and other effluent due to indiscriminate littering. “These included oil from nearby households, plastic bags, cardboard boxes and even animal carcass,” she said. The team managed to collect a total of 292.6 kg of trash along the drain from the Futsal Centre near the roundabout to the Cash and Carry Furniture store. Another alternative way on how to educate the public, especially the students on environmental awareness.